When studying Ancient Egypt one MUST make a cookie map. At least that’s what I read on every homeschool blog a few years back. I took the advice of seasoned moms and joined the vast cookie-making map movement and loved it. Of all the simple or involved projects from our Ancient Egypt study, the cookie map stands out as a favorite. In fact, it’s now the project I keep in my back pocket for any geography based lesson. 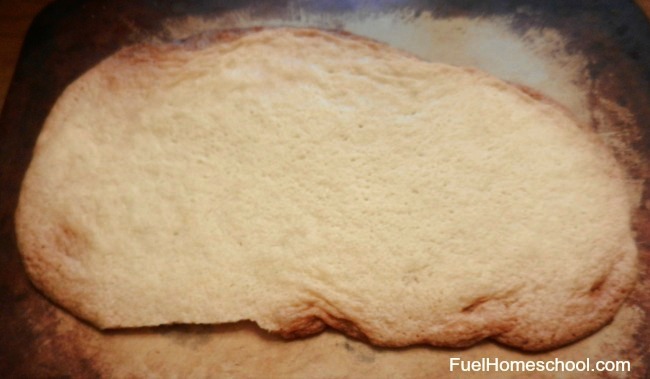 I used store brand sugar cookie dough found in the freezer section of the grocery store along with store bought tube icings. You can make both the dough and icing homemade if you choose. It was easier and quicker for me to just buy it ahead of time and stick in the fridge. Purchasing the cookie supplies allowed the boys and I to go straight to the fun. 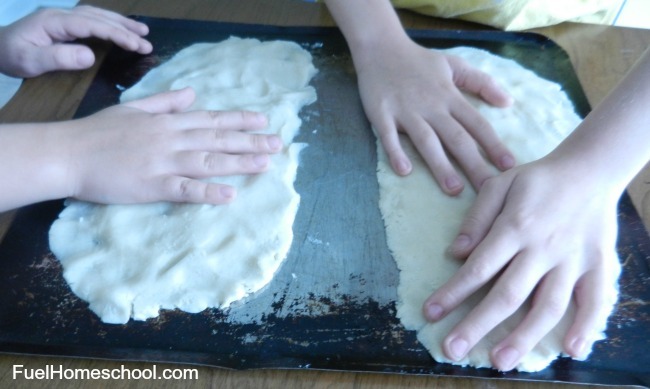 To make the maps, the boys and I rolled out the dough and shaped in a large rectangle. Baked according to package directions and allowed to cool completely. Once cool, the cookie became the palate for build the Nile River. 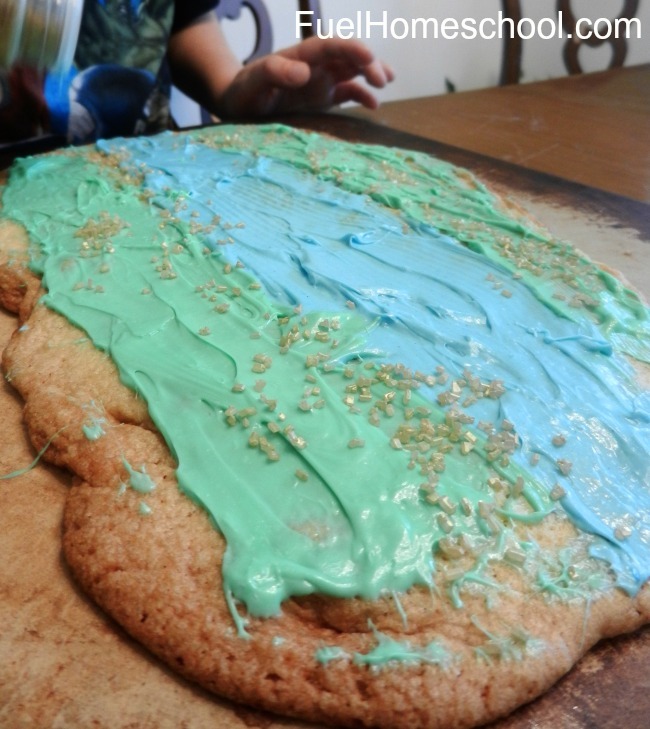 We used blue icing for the river, green icing for land, and sprinkles for sand. After describing their own Nile River presenting the projects we had a great snack time. 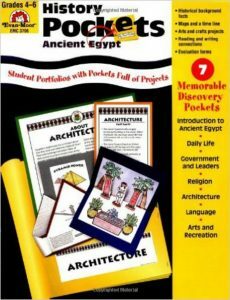 Our study of Ancient Egypt also included using History Pockets: Ancient Egypt – Grades 4-6+. The boys enjoyed, for the most part, creating their history book. In full disclosure, I have one child who does not lean towards the crafty. He likes to do the work and be done. My younger son, on the other hand, is all about enjoying the process and creating. Both boys particularly enjoyed learning to write their names in hieroglypics. I came late to the game on history pockets and do wish I had introduced them at an earlier age to my children. This unit study opened my eyes to my boy’s learning styles. Yes, I have read plenty on learning styles, yet History Pockets brought their styles to my attention in living color. I highly recommend History Pockets for visual and hands-on learners. And, if you need a great geography project just remember that there is a cookie map for that! Kellie and her husband Greg have been married 28 years and have four children ranging in age from 12 to 23. She co-founded Mentoring Moments for Christian Women in 2005 with two friends. Kellie is a homeschooling mom who enjoys reading and studying the Bible, writing, photography, and learning how to cook. 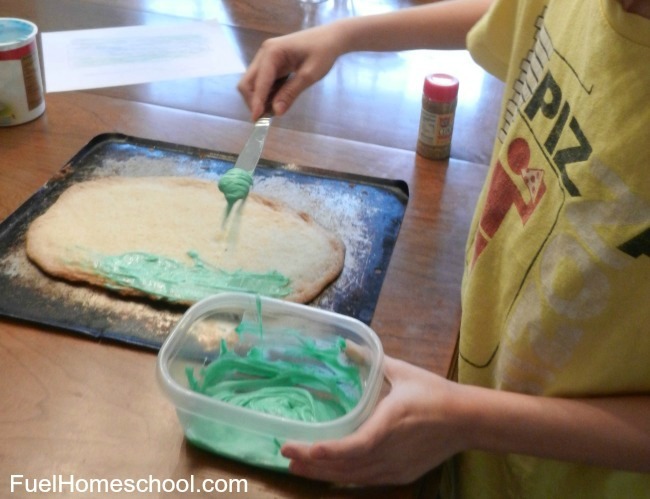 I'm a homeschool mom of 4 with a love for learning and developing homeschool community. My vision for Fuel is to be a helpful and encouraging resource in your homeschool.